If there's a fun-lovin' cowboy on your list, the cowboy up personalized Christmas ornament is the perfect gift for the holidays, a birthday or any time at all. The details are fantastic in the rope, hat, boots and faux wood planks, and each of these cowboy and western ornaments personalized by Russell Rhodes arrives in our classic velvet drawstring pouch. 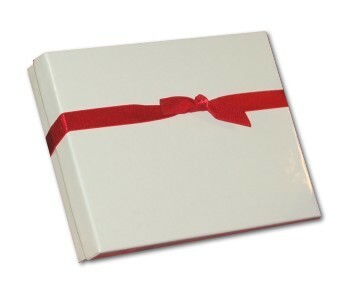 Stir up some fun of your own for any guy who enjoys the western lifestyle. 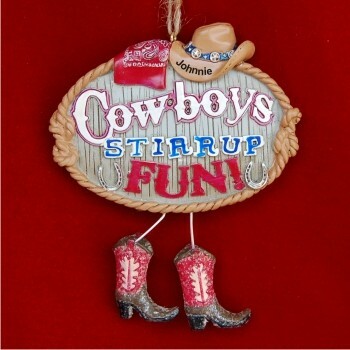 Choose the cowboy up Christmas ornament personalized with his name and the year at your option.